Do you know which one of these forms is the correct one? You sure about that? Four things are inevitable: death, taxes, the eventual heat-death of the universe, and language change. All (living) languages are constantly in a state of flux, at all levels of the linguistic system. Meanings change, new structures come into being and old ones die out, words are born and die and pronunciations change. And no one, it seems, is happy about it. New linguistic forms tend to be the source of endless vitriol and argument, and language users love constructing rules that have more to do with social norms than linguistic reality. Rules that linguists create, which attempt to model the way language is used, are called “descriptive”, while rules that non-linguists create, which attempt to suggest how they believe language should be used, are called “prescriptive”. I’m not going to talk that much more about it here; if you’re interested, Language Log and Language Hippie both discuss the issue at length. The reason that I bring this up is that prescriptive rules tend to favor older forms. (An occasionally forms from other languages. That whole “don’t split an infinitive” thing? Based on Latin. English speakers have been happily splitting infinitives since the 13th century, and I imagine we’ll continue to boldly split them for centuries to come.) There is, however, one glaring exception: the whole [ask] vs. [aks] debate. In a way, it’s kinda like Theseus’ paradox or Abe Lincoln’s axe. If you replace all the sounds in a word one by one, it is the same word at the end of the process as it was in the beginning? Historically, it’s [aks], the homophone of the chopping tool pictured above, that has precedence. Let’s take a look at the Oxford English Dictionary’s take on the history of the word, shall we? So, [aks] was the regular literary form (i.e. the one you would have been taught to say in school if you were lucky enough to have gone to school) until the 1600 or so? Ok, so, if older forms are better, than that should be the “right” one. Right? Well, let’s see what Urban Dictionary has to say on the matter, since that tends to be a pretty good litmus test of language attitudes. Oh. Sorry, Chaucer, but I’m going to have to inform you that you were a retard who didn’t know how to pronounce the word ask. Let’s unpack what’s going on here a little bit, shall we? There’s clearly a disconnect between the linguistic facts and language attitudes. Facts: these two forms have both existed for centuries, and [aks] was considered the “correct” form for much of that time. Language attitude: [aks] is not only “wrong”, it reflects negatively on those people who use it, making them sound less intelligent and less educated. Now, the interesting thing about these forms is that they both have phonological pressures pushing English speakers towards using them. That’s because [s] has a special place in English phonotactics. In general, you want the sounds that are the most sonorant nearer the center of a syllable. And [s] is more sonorant than [k], so it seems like [ask] should be the favored form. But, like I said, [s] is special. In “special”, for example, it comes at the very beginning of the word, before the less-sonorant [p]. And all the really long syllables in English, like “strengths”, have [s] on the end. So the special status of [s] seems to favor [aks]. The fact that each form can be modeled perfectly well based on our knowledge of the way English words are formed helps to explain why both forms continue to be actively used, even centuries after they emerged. And, who knows? We might decide that [aks] is the “correct” form again in another hundred years or so. Try and keep that in mind the next time you talk about the right and wrong ways to say something. * “ask, v.”. OED Online. December 2012. Oxford University Press. 12 February 2013 <http://www.oed.com.offcampus.lib.washington.edu/view/Entry/11507&gt;. Next ›What’s the best way to teach grammar? This history of the origins of “ask” and its pronunciation variant “aks” is quite interesting. And it should certainly give pause to those of us who associate the use of “aks” with some sort of illiteracy or denigrated social class. But I’d like to know if any current native speakers of English use a written variant of “ask”. I rather doubt it. I suspect that any reasonably well-educated person who says “aks” writes that as “ask”. Which brings me to my point. Why should we view the (typically) purely descriptive approach of linguists as the most reasonable (and sufficient) one? Why can’t a more prescriptive approach, if based on thoughtful priorities, have social utility? Would it not be more helpful to millions of people trying to learn English if there were more consonance between the written and spoken languages? Why should we condone every “natural” or historical variation as an untouchable example of linguistic diversity? Why shouldn’t we gently try to discourage alternate pronunciations which don’t conform to both the currently accepted spellings of the word and the “standard” rules of English pronunciation? (By this reasoning, my own Midwestern pronunciation of the word “caramel” as “carmel” would be discouraged–and rightly so, I think.) Obviously, we will never be able to “fix” all such sources of challenge and difficulty in the language. But I do believe that several forms of social utility might accrue from trying to reduce the chaos a bit–not the least of which could be a modest reduction in the available shibboleths many of us reflexively use to judge and discriminate against each other. I think you make several really interesting points here. I would absolutely agree that most literate English speaks would write “ask”, regardless of their pronunciation. And I also agree that prescriptive rules do have utility; it’s not like linguistics journals don’t have style guides or enforce standard spellings. But I also think that there are a couple flaws with trying to enforce spelling pronunciations, even if the goals (easier access to literacy, helping people learning English as a second language) are good ones. The first major problem is that the English spelling system is not phonetic. Not by a long shot. (I’ve talked about this in an earlier post: .) And if we want to create a system with as much internal uniformity as possible, why would we insist on pronouncing “ask” like it’s written but not pronouncing the “p” in “pneumonia” or the “k” in “knight” and “knife”? Of course, we could move towards making the spellings more in line with pronunciations, but historically spelling reform has failed terribly, just ask Shaw. Even naturally occurring spelling changes, like those emerging from texting and instant messaging face stiff resistance. And if by some miracle we could move to a truly phonetic spelling system I don’t think that would necessarily be a good thing. First of all, it would necessarily represent all phonetic variation and there’s a significant amount of that in English. Consider how different the vowels in British English and American English are. Our non-really-phonetic spelling system masks those differences and makes communication easier across dialectal boundaries. Plus, most skilled readers aren’t actually reading letters, they’re reading whole words or phrases, looking at the outline of the word and using that to make lexical decisions. A truly phonetic system would actually make reading more difficult and slower, since one word could be represented in a large number of different ways. Linguists don’t generally deal with writing system or reading (that tends to get handed off to educational psychologists) but I personally am a fan of not using actually phonetic writing systems. They are harder to learn, since there is some arbitrariness in the system, but once the system is mastered they’re easier to use. Even a highly trained phonetician can’t read phonetically transcribed script as quickly as a less-phonetic system. But I also think there needs to be a realization that the spelling system is partly arbitrary. That’s a good thing, but it means that we can’t reasonably enforce “saying things as their spelled”. Will people do it anyway? Absolutely. “Falcon”, with its current spelling, was originally pronounced without an “l”, for instance. But even from a prescriptive point of view, there’s no reason why spelling and pronunciation should match—as frustrating as that is to those who are trying to learn to read English. As for avoiding stigmatized features in language… as long as there are social groupings there will be linguistic markers used to show identity with various groups. And the markers for the marginalized groups (whether based on gender, ethnicity, social class or other factors) will acquire a stigma. This is an incredibly robust pattern that appears in every language community I’ve ever heard of and, sadly, I don’t think there’s any way to get away from that. Use of the verb “ax” (or “aks”, or “axe”) is not a grammatical error although it is now painted that way. It is a verb form that has been in English since the beginning. Some folks have suggested that it is a case of inverting sounds or, metathesis, which crept into the language. I am not sure that metathesis explains the current use of “ax” over “ask”. Both forms of the verb have been present in English since it was Old English. Each group of Old English speakers passed on their preferred verb form to their descendants till the present. That is not metathesis. That is an unbroken chain of use. Old English had two verbs, “ascian” and “axian” that equate to “ask” and “ax”. Both forms of the verb evolved according to linguistic norms which parallel to each other. “Ax” is not an inversion of “ask”. The primary place we learn to speak is in the home. “Ax” speakers grew up learning one verb form over the other in homes. So the that fact that the two versions has been passed down in an unbroken chain of use is more a testament to continuity in the face of a group of prescriptive grammarians in the 18th century dictating to millions of people that the way they and their grandparents spoke is incorrect. That subsequent grammarians asserting that ask is more proper than “ax” have elevated ask to a preferred status is interesting and a testament to arbitrary rules gaining traction if repeated enough. That is no more interesting than the fact that the descendants of “ax” speakers continue to maintain use despite social pressure to change their manner of speaking which is consistent with English grammar from day one (if there is such a thing in a language) and not wrong or ignorant. In America we have gone a step beyond grammar discussion and made it about race and social status but for the millions of people in Australia, New Zealand, Canada, England, Wales, Scotland, Ireland, etc. who use “ax” instead of “ask” it is just the way they as descendants of the one dialectic speaking group maintains a dialectic characteristic unbroken since the birth of English. 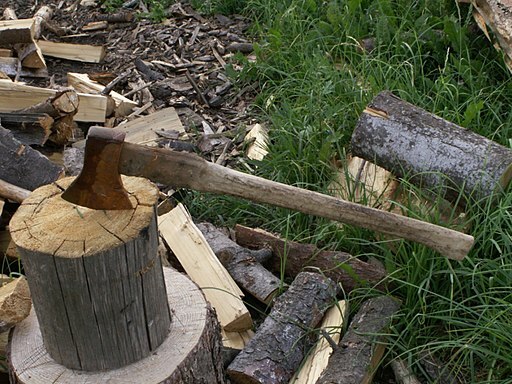 “Ax” was the predominant verb used of the two in New England through much of the 19th century. Really, this is a case of synonyms. Getting assertive over a case of synonyms is not less silly than asserting that “I before e except after c” is a valid standard of English grammar, a “rule” with so many exceptions that is has no business being a rule. Ultimately, we are discussing a question of style that has become associated with group identity, social standing, and to various degrees education. What about the word asterisk. I pronounce it the way it is spelled but, for the most part, only hear it pronounced astrick. I use “ask” both written and orally, by the way.